Posted on: July 25th, 2013	by Melanie C.
Jersey Family Fun helps you explore things to do with kids in Union County, New Jersey. 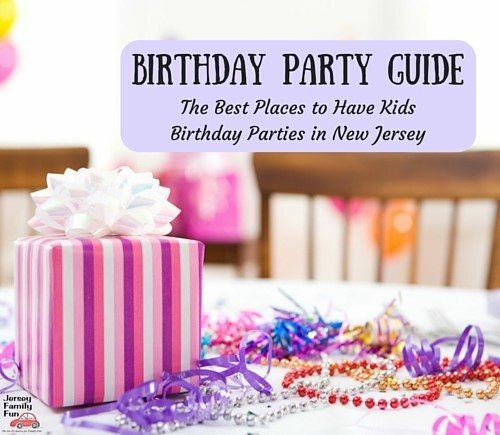 Do you know indoor play areas in Union County that we should add to this list? Are you interested in advertising options for this page? Please email the name of the location, the type of location, and the city and county it’s located in to jenniferauer@jerseyfamilyfun.com. Garwood Lanes – 346 North Ave, Garwood . (908) 789-2040. Hy-Way Bowl – 1731 US-22, Union. (908) 687-9300. Jersey Lanes – 30 Park Ave, Linden. (908) 486-6300. Linden Lanes – 741 N Stiles St., Linden (908) 925-3550. Beacon Hill Club – 250 Hobart Ave, Summit. (908) 277-6655. Union Sports Arena – 2441-A US-22, Union. (908) 687-8610. Warinanco Ice Skating Center – Warinanco Park Roadway, Roselle. (908) 289-7850. Be Craftful – 250 South Ave #101, Fanwood. (732) 723-8963. Chuck E. Cheese – 1660 US-22, Union. (908) 688-0210. Color Me Mine – 438 Springfield Ave, Summit. (908) 598-0248. Fire Me Up – 117 N Union Ave, Cranford. (908) 272-2600. Just Bead Yourself – 113 Central Ave, Westfield. (908) 232-3411. Model Railroad Club – 295 Jefferson Ave, Union. (908) 964-9724. Screamin Parties – 271 US-22, Springfield. (908) 325-5420. Sew & Show – 401 North Ave, Garwood. (908) 789-2115. William Miller Sperry Observatory – 1033 Springfield Ave, Cranford. Burger King – 251 North Ave, Garwood. (908) 233-9820. Chick Fil A – 2319 US-22, Union. (908) 688-4515. Giggles – 103 Miln Street, Cranford. (908) 272-4380. Kidoolo Play – 355 Route 22 East, Springfield. (973) 788-5993. Kidz Village – 131 S 31st St, Kenilworth. (908) 445-7220. McDonalds PlayPlace – 108 Central Ave, Clark. (732) 396-3445. McDonald’s PlayPlace – 420 US-1, Elizabeth. (908) 351-4548. McDonald’s PlayPlace -216 North Ave, Garwood . (908) 789-1299. McDonald’s PlayPlace – 1967 US-22, Scotch Plains. (908) 322-5270. McDonald’s PlayPlace – 3215 John F. Kennedy Blvd, Union. (201) 866-6777. My Gym – 1100 S Ave W #9, Westfield. (908) 317-0888. Visit our listing of New Jersey libraries for our list of Union County, New Jersey Libraries. Visit our listing of New Jersey Museums for our list of Union County, New Jersey Museums. Skate 22 – 2441-A US-22, Union. (908) 686-6838. CDC Theatre – 78 Winans Ave, Cranford. (908) 276-7611. Dreamcatcher Repertory Theatre – 120 Morris Ave, Summit. (800) 838-3006. Kean Stage – 1000 Morris Ave, Union. (908) 737-7469. New Jersey Youth Symphony – 570 Central Ave, New Providence. (908) 771-5544. Ritz Theatre – 1148 E Jersey St, Elizabeth. (908) 351-7575. Stony Hill Players – 120 Morris Ave, Summit. (888) 817-3013. Summit Playhouse – 10 New England Ave, Summit. (908) 273-2192. Union County Performing Arts Center – 1601 Irving St, Rahway. (732) 499-8226. Westfield Community Players – 1000 North Ave., West, 1000 North Ave, Scotch Plains. (908) 232-1221. AMC Loews Jersey Garden 20 – 651 Kapkowski Rd, Elizabeth. (908) 289-1855. AMC Aviation 12 – 1200 South Stiles St, Linden. (908) 474-0271. AMC Mountainside 10 – 1021 Route 22, Mountain Side. Digiplex Cranford – 25 N Ave W, Cranford. (908) 276-9120. Digiplex Rialto – 250 E Broad St, Westfield. (908) 232-1288. Empire Union Theaters – 990 Stuyvesant Ave, Union. (908) 851-0901. Visit our listing of New Jersey Campgrounds for our list of Union County, New Jersey Campgrounds (coming soon). Visit our listing of New Jersey Farms for our list of Union County, New Jersey Farms. Cedar Brook Park Shakespeare Garden – Plainfield. (908) 527-4900. Esposito Park – Madison Hill Rd, Clark. Read about our visit to Esposito Park here. Hawk Rise Sanctuary – 1811 Lower Rd, Linden. (973) 226-6082. Holland Skate Park – Elizabeth. Hyatt Hills Miniature Golf – 1300 Raritan Rd, Clark. (732) 669-9100. Mattano Park – 360-484 5th Ave, Elizabeth. (908) 527-4000. Reeves Arboretum –165 Hobart Ave, Summit. (908) 273-8787. Scotch Hills Mini Golf – 820 Jerusalem Rd, Scotch Plains. (908) 232-9748. Trailside Nature and Science Center – 452 New Providence Rd, Mountainside. (908) 789-3670. Wheeler Park – US-1, Linden. (908) 862-0977. Visit our listing of Union County, New Jersey Parks & Playgrounds. Coming soon! There are no known beaches in Union County. Berkeley Aquatic Club – 629 Central Ave, New Providence. (908) 665-7946. The Connection for Women and Families – 79 Maple St, Summit. (908) 273-4242. Cranford Town Pools – 401 Centennial Ave, Cranford. Family Aquatic Center – 100 Ashwood Ave, Summit. (908) 273-6777. Five Points YMCA – 201 Tucker Ave, Union. (908) 688-9622. Gran Centurions – 440 Madison Hill Rd, Clark. (732) 382-1664. Highland Swim Club –1235 Martine Ave, Scotch Plains. (908) 889-4804. Hillside Community Pool – 1209 Central Ave, Hillside. (908) 354-3466. John Russell Wheeler Pool – US-1, Linden. (908) 862-0977. Knights of Columbus Pool – 1034 Jeanette Ave, Union. (908) 212-1593. Manor Park Pool – 2 Laurel Pl, Westfield. (908) 232-9877. Mountainside Community Pool – 1005 Mountain Ave, Mountainside. (908) 232-0132. New Providence Community Pool – 1378 Springfield Ave, New Providence. (908) 464-4141. Nomahegan Swim Club – 506 Springfield Ave, Westfield. (908) 232-6313. Rahway YMCA – 1564 Irving St, Rahway. (732) 388-0057. YMCA – 220 Clark St, Westfield. (908) 233-2700. YMCA – 1340 Martine Ave, Scotch Plains. (908) 889-8880. Cedar Brook Park –Pemberton Ave, Plainfield. Jackson Park – 204-243 Broadway. Elizabeth. (908) 820-4220. Jefferson Park – 441-487 Jefferson Ave, Elizabeth. (908) 820-4220. Kellogg Park – 1145 Fanny Street, Elizabeth. (908) 820-4220. Lynch Memorial – 1151 Fairmount Ave, Elizabeth. (908) 820-4220. Mickey Walker Spray Grounds – 800-860 Anna St, Elizabeth. (908) 820-2855. Pine Street Park – Pine Street and W. 2nd Ave, Roselle. Miller Playground – 715-733 South Park St, Elizabeth. (908) 820-4220. Ponderosa Farm Park – 1600 Cooper Rd, Scotch Plains. Phil Rizzuto Park –North Ave and Trotter’s Ln – Elizabeth. Mattano Park – 360 Fifth Ave, Elizabeth. Snyder Avenue Park – 240 Snyder Ave, Berkeley Heights. Warinanco Park – Warinanco Park Roadway, Roselle. Do you have anything that should be added to this list? Are you interested in advertising on this page? Please email us at jenniferauer@jerseyfamilyfun.com. Great list but Trailside Nature Center also has great indoor activities. Thanks so much Melanie for including Be Craftful on the list of places to craft in Union County!